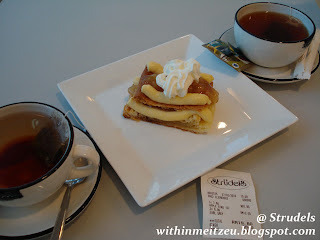 CLOSED - Afternoon Tea at Strudels, Suria Sabah, K.K., Sabah. Been listening to some friends about a cafe inside Metro Jaya, Suria Sabah that amazing view and cakes, temptation that melt you away. 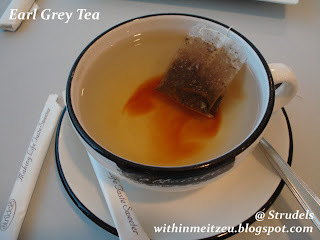 Went there for the first time with my sister for a cup of tea after washing our eyes with shopping goods. 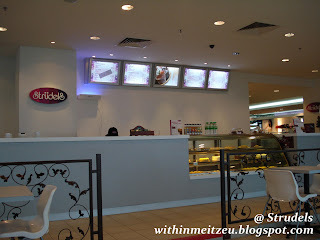 Strudels not only in Kota Kinabalu, West Malaysia do have too!! 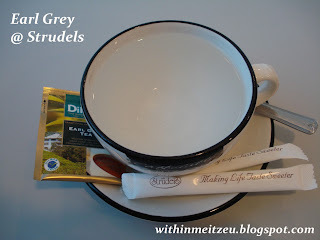 Relaxing with beautiful scenery of South China Sea, a cup of tea and cakes will do. 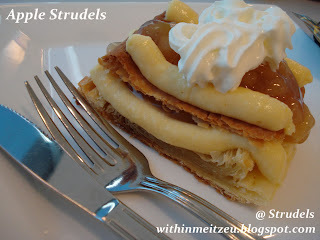 Apple Strudels that really taste good. 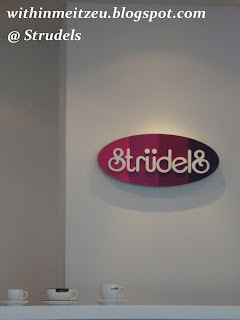 My sister told me that the figure for the Strudels they offered was small compared to West Malaysia's Strudels. The view from Strudels. 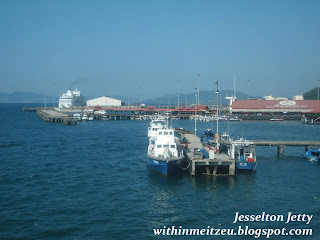 we can see Jesselton Jetty from far above. There was Cruise deported at our Jesselton Jetty. Besides, tourist and even people that seek for cheaper boat fare to go to Islands nearby and Labuan too. ** Updated on 1st July, 2010. You definitely look happy...in the picture. Cheers!